To say that Swiss-born artist, art historian, and curator Harald Szeemann was an obsessive collector might be putting it mildly. Szeemann’s personal archive and research library, which he referred to as the “Museum of Obsessions,” spans over five decades and amounts to thousands of linear feet. In this episode, we hear from the Getty Research Institute’s Glenn Phillips, Doris Chon, and Pietro Rigolo about the work and archive of this influential curator. GLENN PHILLIPS: There were things everywhere. Everywhere you looked. Every surface. Books, papers, photographs, artworks. Once you really got into it, you could figure out his system, but there was a chaos on top of it. CUNO: In this episode, I speak with the Getty Research Institute’s Glenn Phillips, Doris Chon, and Pietro Rigolo about the influential Swiss artist, curator, and art historian Harald Szeemann. The career of artist, curator, and art historian Harald Szeemann is inseparable from some of the key artistic developments of the postwar area. An advocate of conceptualism and postminimalism, Szeemann developed new ways of presenting art that included close collaborations with artists and a sweeping international vision of contemporary culture. In the 1950s, Szeemann was working as an actor, stage designer, and painter while also organizing exhibitions. When he was just twenty-eight years old, he was appointed director of the Kunsthalle Bern in Switzerland. At its core, a Kunsthalle is an exhibition space without a permanent collection. Kunsthalle exhibitions can be comparable to theatrical events, with the curator serving as both exhibition director and designer. In 1969, Szeemann curated an unforgettable, sprawling exhibition at the Kunsthalle Bern titled, Live in Your Head: When Attitudes Become Form (Works—Concepts—Processes—Situations—Information). The exhibition nearly destroyed the museum, enraged the public and museum board, and eventually cost Szeemann his job. He then became an independent curator, a role virtually unheard of at time. Among other exhibitions, he also curated the fifth edition of documenta, the renowned contemporary art exhibition in Kassel, Germany. Szeemann organized more than one hundred and fifty installations and exhibitions in his lifetime. From each, he kept letters, drawings, artists’ books, installation plans, photographs, and posters in his personal archive and research library, which he referred to as the “Museum of Obsessions.” In 2011, the Getty Research Institute acquired Szeemann’s archive, almost two thousand linear feet of materials that document his career and curatorial approach. Selections from his archive are currently on view in the Getty Research Institute’s exhibition, Harald Szeemann: Museum of Obsessions. Just before the exhibition opened, I sat down with Glenn Phillips, Doris Chon, and Pietro Rigolo to learn about Szeemann and his prolific archive. At the Getty Research Institute, Glenn is curator and head of modern and contemporary collections, Doris is a research specialist, and Pietro is a special collections archivist. Glenn, tell us about Harald Szeemann’s early career and what the museum culture in Europe was like at the time, because much of what he did, I think, was in response to a rather more conservative culture of museums at the time. PHILLIPS: Harald Szeemann began his career curating at a time in the 1960s—well, beginning at the very end of the fifties, when I think a lot of developments were bubbling up across Europe in the art world. But I think there was still an overall slightly more conservative air to a lot of the institutions. CUNO: Should we say that all of the institutions were government institutions, or principally government institutions, so this sense of conservativism might come with a kind of bureaucracy of a government institution? Or is it kind of a social conservatism as well as a governmental one? PHILLIPS: I think it varies by city. I think often with a Kunsthalle, it’s getting a lot of, at the very least, city support. Sometimes governmental support. A lot of Kunsthallen were really founded as artist associations. And so rather than a maybe typical board of directors, often your governing board for a Kunsthalle would include a high proportion of artists, but then there might also be city officials or government officials. And I think at the time, an ideal Kunsthalle would be a space that was showing contemporary art to a wide public, often focused on the local artists. Maybe artists from that city or from that region or from that country. But then alternating at times with exhibitions that might be more historical or more international. And so Szeemann came into the Kunsthalle Bern with this mandate to be showing contemporary art, and to try to do it in innovative ways. But I think pretty soon, he started pushing that definition a little further than people may have expected. And I think that in particular, he started maybe reversing the proportion of shows that were coming from outside Switzerland, and looking very heavily at artists both across Europe, but also artists from the United States. Still on occasion, looking at local artists or Swiss artists, but really broadening his scope. There were amazing things that were happening in Germany at that time, particularly when we look back on it. I think that it wasn’t always happening in the museums first. What was particularly important in Germany at this time were these extraordinary gallerists who were showing the newest artists, but also bringing in artists internationally. And so you have figures like Alfred Schmela and Paul Maenz and Konrad Fischer, who were creating new institutions, creating new ways of showing. And then I think the museums were following. Szeemann was following all of this as it was happening. He was keeping up with the Swiss art scene, he was traveling to Germany, but he was also traveling to Italy, where extraordinary things were starting to develop with Arte Povera. He was traveling to the United States by the late 1960s. He was following all of these things that were going on. CUNO: Let’s just back up just a little bit and tell us about his childhood. PHILLIPS: Szeemann’s father and grandfather were both hairdressers. And his grandfather was particularly distinguished, in that he had invented a version of the permanent wave machine. He had patented various types of hair rollers and hair dyes under his own brand. His children sort of joined the family business, but I think the grandfather was really the driving force. The grandfather had been born in Hungary when it was part of the Austro-Hungarian Empire. He had spent his early—his sort of journeyman years traveling, training in Vienna and other large cities, but also traveling all throughout the Balkans when he was very young, and then continuing through Germany to Paris to London before finally settling in Bern in 1904. Bern was a city he had visited early on and completely fell in love with it. CUNO: What was the attraction? Physical beauty or—? CUNO: So Harald Szeemann, his grandson, was born in Bern. PHILLIPS: Yes, he was, but he had both Swiss and British passports, because Szeemann’s father was born in London the year that the grandfather moved to Bern. And so that sort of passport passed down. This becomes a sort of important story in a way. I mean, we find in the archive, Szeemann’s mother scolding him for always traveling with his British passport instead of his Swiss passport, which she just thinks is outrageous when a Swiss passport is such a privilege. CUNO: What was his education like? PHILLIPS: I think he received a sort of typical Swiss education. We have a lot of his homework assignments, which he did very beautifully and carefully, in the archive. His geography notebooks are almost like these extraordinary artist books where he is so carefully drawing countries and writing down their statistics. And you can see that at a very young age he had this amazing passion for travel, which certainly played out later when he was becoming a curator traveling the world. I think what really changed for him perhaps was when he started pursuing his graduate studies in Paris. CUNO: In the history of art or art or culture generally or—? PHILLIPS: Well, I may like to turn that part over to Pietro to talk about. PIETRO RIGOLO: I think his—I think his majors were journalism and art history at the Sorbonne. And I think that Paris was important, particularly because in Paris, he got really interested in Alfred Jarry and forms of experimental theater at the end of the nineteenth century and the beginning of the twentieth century. And Jarry will really become one of Szeemann’s kind of cultural idols, in a—in a way. Jarry was a playwright, a novelist, and a visual artist. And he was the founder of a new science, a new discipline that he calls pataphysics. And pataphysics has been described in many ways as the science of the detail or the science of the imaginary solutions. And it’s based on the principle of universal equivalence, according to which everything equals everything else. It can be seen as a celebration of absurdity and randomness in our life and in the universe. It’s a sort of universal science, in the sense that it’s a science that permeates all the aspects of your life and your productivity as an artist. CUNO: Yeah. So Szeemann then comes to Paris in the 1950s, I guess, something like that. CUNO: And Jarry is long dead by then, but there’s this revival of interest in pataphysics at the time. Was he pioneering in this regard, in this revival of interest in pataphysics? RIGOLO: Well, the College of Pataphysics was founded in 1948. So it was already a few years. But Szeemann then decided to focus his PhD dissertation actually on aspects which are tangent to pataphysics, because he focused on Nabi painters and their relationship with the experimental theater of that time. So for example, Pierre Bonnard collaborating with Alfred Jarry and with the Théâtre de l’Oeuvre. Szeemann’s PhD dissertation was pretty interesting in the sense of this multi-disciplinary interest touching, like, literature, theater production, and visual art. CUNO: Did he actually get involved in the production of theater? Was he directing? Was he acting? Was he writing for theater? RIGOLO: Yeah. Well, back in Bern in the late 1950s, I think actually, he founded a sort of one-man theater company, for which he would be the playwright, the actor, the set designer, the costume designer. CUNO: This would be something that he produced in his house, in a kind of studio attached to the house, [RIGOLO: No, he was—] or was it actually at a civic institution? RIGOLO: He was collaborating with, like, small theater spaces in the city. CUNO: Yeah. So how did he get, then, picked to be the curator at Bern? PHILLIPS: That’s a good question. He was incredibly charming. I think that he became very involved within the artistic scenes across the city. I think at the time that Szeemann received his appointment, this was prior to what, in Bern, they talk about as their golden age, when there was sort of a little bit more coalescing of artists who had great careers. But the Kunsthalle Bern has always been a really vital part of the city, actually. Even today, I think the public are really, really engaged with it. And I think that he put himself forward for the position and managed to get it. CUNO: Was it thought to have been a risk that the Kunsthalle took in hiring him? Or that only proved to be a risk later on? PHILLIPS: I think it was a little bit of both. I think they thought it was a risk, and then I think they wanted things to go in a fresh and interesting direction. The previous director himself had taken things in a fresh and interesting direction. It wasn’t really a sleepy little Kunsthalle when it took it over; it had a quite interesting program. And so they really wanted to continue that but maybe to freshen it up a little bit. CUNO: One of his early projects was having Christo [and Jeanne-Claude] wrap the building itself. But what preceded that? What were some of his very earliest exhibition projects? 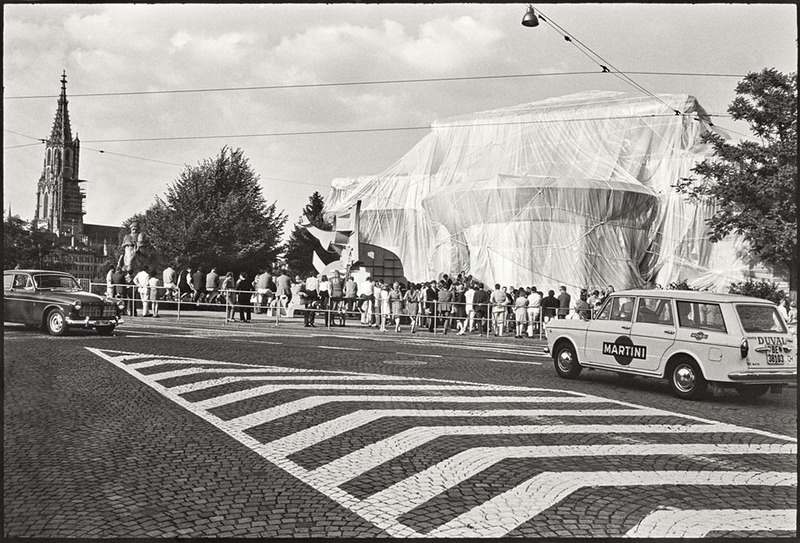 And therefore, when he did propose to have Christo [and Jeanne-Claude] wrap the Kunsthalle itself, was that seen to be shocking and bizarre or was it sort of preceded by equally challenging exhibitions beforehand? PHILLIPS: If you look at Szeemann’s years at the Kunsthalle, it’s slowing ramping up to being more and more shocking, I guess, every show. He begins things, you know, perhaps as one might expect. I mean, doing a very interesting program, but not rocking the boat too much. And then he gradually starts to push the boundaries just a little bit. I mean, one of his first more experimental shows is an exhibition of religious folk art that he called Ex Voto. And so first of all, just to put this folk art, which at the time was maybe not as accepted in a museum context, within an exhibition, in a lot of cases with anonymous artists. But then he did this sort of crowded, somewhat innovative display, and in some cases, there were sculptural objects that he was hanging from string in vitrines, and just everything was packed in, in a way is one moment where things start pushing. But then he’s alternating between the sort of contemporary avant-garde artists, but then doing these very interesting thematic shows. PHILLIPS: Exactly. And then Tinguely was an important influence for him, and a Bern artist. But he was looking really widely, including at artists like [Jesús Rafael] Soto, who was from Venezuela, but had begun exhibiting in Europe at that time. And he was doing these really large exhibitions. He did a show of art of the mentally ill that, you know, was showing extraordinary artists who maybe weren’t formally trained artists and who had been, in some cases, spontaneously begun producing work after they had been institutionalized. In some ways, that’s going back to his education in Paris, also, where he started learning about Art Brut. And all these ideas, you know, were very current at the time. CUNO: So when he does ask Christo to wrap the building—and we’re now, many years later, familiar with Christo’s practice of wrapping buildings of landscape terrain and buildings, both artistic buildings and civic buildings, so—but this very first one I think was 1968. How shocking was that? And out of what context did that come in—I mean, in Christo’s work, in what context did that come in? CUNO: What’s the date of the building? I believe that it would be 1918, the year that the Kunsthalle opened. CUNO: It gives the impression of being a very solid, almost middleclass-looking building, a bureaucratic building, on the streets of a bureaucratic city. Was it seen by those who treasured the building and treasured the activities of the building to be that Christo or that Szeemann was making fun of the building? Was there any sense that this was a critique of the building and its activities? PHILLIPS: I would say that Christo’s wrapped Kunsthalle Bern split the city in two, with some people absolutely loving it and some people absolutely hating it. You know, the Kunsthalle Bern building, it’s right on the river in Bern. It’s right at the end of the bridge that everyone crosses on foot or bicycle or car. It’s very prominent, and the way that it’s placed, because you go down the hill to the river, from one side, the Kunsthalle Bern, it looks like it’s just a sort of street-level building. But then at the back, it goes down the hill. And that sort of volume behind is a little bit hidden. And what the Christo piece does is reveal that volume. By wrapping the building, it brings the volume forward and you can see, in a way, the strangeness of this building and its beautiful proportions. Szeemann sold the project by saying, “This will allow people to see the Kunsthalle building as if for the first time.” And it’s not clear if he meant that by seeing it wrapped, you would focus your attention, or that at the moment that it’s unwrapped, we would look at it as if new. But he was able to get the support to do it, though I think it cost way more than he had said and, you know, there were problems with the cost. And then of course, it was only piece of a much larger project called 12 Environments, where other artists had come and created these amazing immersive installations inside the building. CUNO: Over the course of its anniversary year? PHILLIPS: [over Cuno] No, this was during the exhibition. And so, you know, people didn’t always know that they could go inside and see this whole show. And so that on its own was a little bit of controversy. But you could, you know, go inside of the Kunsthalle while that was happening. CUNO: So that was 1968. [PHILLIPS: Yes.] A year later, 1969, he has his very celebrated but probably controversial exhibition, certainly ambition exhibition, called Live In Your Head: When Attitude[s] Becomes Form. Give us a sense of that exhibition. I’ve seen the recreation of that exhibition at Venice a few years ago, so I have a sense of it. It looks very alive and fresh, even now. But it must’ve looked dynamically, aggressively interesting when it was first opened. PHILLIPS: When Attitudes Become Form today is now seen as one of the most famous exhibitions, perhaps of the twentieth century, certainly of the 1960s. It became an absolute sensation, which I think was Szeemann’s intent. But it succeeded far more wildly than he had ever expected. And he had been fortunate enough to receive a corporate commission that gave him this unheard of budget that allowed him to travel all over Europe, all over the United States. He went everywhere in a very short amount of time, seeing as many things that he could—in England, in Amsterdam, the Netherlands, all over the north and the south of Europe, and in the United States, New York of course, but also traveling all over—going to Chicago, going to San Francisco, going to Los Angeles. And looking at what was the newest thing that was happening everywhere. And you know, trying to find the artists—in some cases, artists who were famous, but quite more often, artists who were about to be famous. CUNO: We should name some of them, like Richard Serra, Richard Long, Richard Artschwager—they weren’t all named Richard, but there is at least three name Richard. Joseph Beuys. PHILLIPS: [over Cuno] One of the through lines was artists who were making process art. So art that really came out of an action that had produced it. I think the easiest example of that is Richard Serra’s piece where he’s splashing several hundred pounds of lead on the wall. So he had to come into the museum to do that. And these pieces, these sort of Postminimal pieces, or these Land Art pieces, these Conceptual art pieces, weren’t displayed in a standard way. They were in frames; they’d be directly on the wall. They weren’t on pedestals; they would be directly on the floor. Just that was shocking at the time. I mean, that pictorial display convention had not quite been broken yet. So even just to see the sculpture plopped on the floor with no protection, that on its own was a scandal. You add to that that the show was incredibly over-crowded. In a way, he invited way too many artists. So there was almost nowhere for a viewer to be in the space. When you look at the installation shots, you try to imagine: okay, where would someone even walk? And it’s very hard to figure that out. CUNO: And I’m looking at a copy of the catalog for the recreation of the exhibition in Venice in 2013, so about forty-five years after the initial exhibition. And you see the pictures, you see the artists at work making their works, you see people trying to navigate around their works, as you described it. But just the fact that it was recreated forty-five years later on the occasion of a Venice Biennale—although it wasn’t part of the biennale, but it occurred simultaneously with the biennale—is some indication that this is a historic exhibition of importance, and with a historic ambition. Doris, you become very much involved in a—something that he did shortly afterwards called the Museum of Obsessions. And in some sense, this exhibition looks like it’s filled with obsessions to his obsession about works of art, but others, as well. Tell us about the relationship between the first exhibition, Live in Your Head: When Attitude[s] Become Form, and the second activity that he called the Museum of Obsessions. DORIS CHON: Yeah, so When Attitudes Become Form, this kind of in 1969, is not only pivotal for the history of art and the history of contemporary art exhibitions, but also pivotal within Szeemann’s career. Kind of the scandal and controversy and excitement surrounding that exhibition would ultimately cost Szeemann his job, and he would basically be forced to resign from his directorship of the Kunsthalle Bern right when the show concludes. CUNO: Was there kind of a positive reaction to this, and did artists come in support of him? Was there kind of a sense that this was a conservative reaction by the board of the Kunsthalle? How was it perceived, that he was fired? PHILLIPS: Almost no Szeemann show in this period—you know, from 1969 until ’72—was well received. In the press, each one was the worst show that had ever happened. And you don’t really find that many visionary critics who are coming to his defense. I mean, maybe here and there. But I think when you look at the coverage, it’s either a more— The most positive coverage might just be talking about the scandal, that there’s a scandalous thing that you should see. You don’t see so much criticism that’s saying this is important, this is—you know, this is what’s coming next. CUNO: Did the artists rally to his defense? CUNO: [over Phillips] Because he saw himself as an artist equal to them or—? PHILLIPS: He was putting a point of view forward, his own point of view, and he was using other artists’ work to do that. And that wasn’t something that you saw done so much at the time. And no everyone liked that. And so even, you know, a few years later, when he’s doing documenta 5, we have Robert Smithson very publicly declining to participate and writing an essay that’s in the catalog. Or also Daniel Buren writing his own statement for the catalog. And Buren says that Szeemann is using the artists like paintbrush strokes in his own painting. CUNO: Yeah, I can imagine. PHILLIPS: Some artists were fine with it, but some of them really didn’t take too kindly to it. And so he was a controversial figure in this. CUNO: Yeah. Well, so Doris, then tell us about this Museum of Obsessions, his project that succeeded the exhibition that—something he was doing when he was no longer the curator of the Kunsthalle Bern. CHON: Or the director, right. So on the heels of his resignation from the Kunsthalle Bern, after When Attitudes Become Form, in 1969, he’s going to establish himself, declare himself an independent curator. And this was really kinda the first moment when a curator of contemporary art would do this. I think it’s something we hear all the time now, an independent curator. But Szeemann was really one of the first to actually declare himself that way. And what he will do in ’69 is he will kind of fabricate this whole different moniker for himself, and call himself the Agentur für Geistige Gastarbeit, meaning the agency for spiritual guest work. So this becomes the kind of name he uses for his agency, and in lieu of “Harald Szeemann,” he will sign his exhibitions with the agency name. CUNO: Where would these exhibitions he was signing take place? CHON: So the first show he would do, first major show he would do after When Attitudes, once he was an independent curator, was Happening & Fluxus, which happened at the Kunstverein in Cologne, in Germany. This is another one of his kind of infamous shows of this period, in late sixties to the early seventies. And then after that, he’ll do documenta 5. But he would continue to use this name, actually, for the rest of his career, even after he would be hired as a permanent freelance curator by an institution like the Kunsthaus in Zurich. So it’s something that gets established in ’69, that he really holds to as his institutional identity for the rest of his career. And following documenta 5, then in 1973 what he will do is he will connect the Agency for Spiritual Guest Work to this other entity called the Museum of Obsessions. And for Szeemann, I think this has a lot to do with the kind of precariousness of his own position as a curator without a home institution. You know, curating exhibitions strictly on a freelance basis. So it becomes a way, I think, to kind of ensure his posterity, the fact that his legacy will be remembered for the future. And so the Museum of Obsessions, in this sense, has both an immaterial component and a material component. And the immaterial aspect of it kind of lives in his mind. In a brief essay he writes about the Museum of Obsessions in ’73, he says, you know, “This museum exists in my mind. It’s the inventory of every exhibition I’ve ever curated in the past, and every show I will ever curate in the future.” Right? So it has this kind of perfect, all-encompassing temporality to it, and it will contain and, you know, in some sense, remember, all of his work, all of his curatorial labor. And it becomes kind of this laboratory or think tank, the way he describes it, for all of his work. CUNO: Was it like his studio, his office, his workshop? CHON: Yes, that’s kind of the material component of it, is really what we now know as the Fabbrica, which is, you know, now at the GRI, is that Szeemann was very, very fastidious and kind of obsessive, kind of a hoarder, about keeping all of his preparatory and research materials for all of his exhibitions. He had a really, really vast library. He had, you know, over 22,000 files devoted to single artists. So all of these things become part of his archive and library, which we can think of as kind of the material dimension of the museum of his obsessions. CUNO: Well, we’ll come back to that in a second, because of course, that’s the important thing about the Getty acquiring his archive. But go back to documenta and tell us how it was that they took a risk with him, given that he’d just been, or recently had been, fired from Kunsthalle Bern. And the documenta, as I understand documenta—and I may be wrong about this, but as I understand it—it was, of course, it’s in Kassel, Germany and it’s a kind of city-wide celebration. And it was the fifth one by the time he was hired to direct it. But it had slowly gone from being a kind of place for showing blue-chip modern artists to something much more experimental. Or was it he who took it from Picasso, let’s say, to Beuys? CHON: Mm-hm, mm-hm. Well, I think he was commissioned and kind of given this new grandiose title of secretary general, right? Which kind of, I think, elevated the position to something on the status of, like, UN, like a position that kind of a politician, a diplomat, an art diplomat. And I think the first four document as had not been nearly, I think, as dynamic and controversial as documenta 5 would prove to be. And they’d all been kind of very closely kind of contained and guided by the founder of documenta, Arnold Bode. And so when Szeemann gets appointed and kind of given this new grandiose title, he’s given a lot more freedoms than previous curators had had in that role. And obviously, I think on Szeemann, they kind of—they knew what they were getting themselves into. I mean, he’d already had this kind of reputation, in the wake of When Attitudes Become Form and Happening & Fluxus, two extremely controversial exhibitions that had gotten very mixed reviews in the press, and were kind of notorious and infamous already at that time. So I think in that sense, Arnold Bode was really taking a very calculated risk on Szeemann to kind of change, I think, the character and the image of documenta. CUNO: Especially when one goes to Kassel, one sees it or thinks of it, when looking at it, as a very conservative middleclass town. So to all of a sudden have it turned inside-out by these great theatrical [CHON: Right.] events, especially when some of these theatrical events, if it’s—was it at this documenta that Richard Smithson then made that statement that Glenn described? CHON: Yes, it was this one. And also Daniel Buren. There was a very mixed response among the artists, in terms of them being really excited to be included by Szeemann in this historic show, but at the same time, feeling like they were being also kind of used to realize the curator’s own vision, as opposed to the artwork standing alone. CUNO: Oh, yeah. So it was kinda performance arts. CHON: Yeah, an emphasis on performance and time-based works. CUNO: [over Chon] And kind of an early example of it? In the development of the art form of performance art, was this something that was new at the time? CHON: I think it was something that was having a new resurgence. It certainly wasn’t new in the sense that I think it had already kind of its efflorescence in the fifties and sixties. But at this moment in ’72, I think Szeemann is kind of giving it a new realistic, kind of new attention. CUNO: So after this in the 1970s and 1980s, Szeemann embarked on what I gather is thought of as a kind of great trilogy of Modernist exhibitions, The Bachelor Machines, in 1975; Monte Verità, in 1978; and Tendency towards the Gesamtkunstwerk, in 1983. What were these exhibitions? Where did they take place? How did they distinguish themselves from earlier exhibitions that he organized? When I describe it as a great trilogy of Modernist exhibitions, it makes it sound as if it’s kind of made for the museum. But is that the case? RIGOLO: Yeah. Sure. Well, the ten, fifteen years after documenta are a really interesting phase in Szeemann[’s] life and career. He somehow goes through a complete restructuring of his life and his position within the cultural context. First of all, he moved to Ticino—so the Italian-speaking part of Switzerland, in the south—to follow his new partner, the artist Ingeborg Lüscher. And in this period, he’s somehow detached from contemporary art, and he starts working on this huge project of three exhibitions that will develop between 1975 to 1983. So even the Kunsthalle years, he was working on about ten exhibitions a year. Now he takes almost ten years to work on three exhibitions. So it’s a very different practice. I mean, it’s a very different way of working, which is much more based on historical research and archival research and conducting oral history interviews and things like that. CUNO: Did he have a gallery in mind for these exhibitions? Was he commissioned to do these exhibitions? RIGOLO: All in Europe, yes. CUNO: Yeah. And did the exhibition have something to do with Duchamp or Picabia? RIGOLO: Yeah, sure, sure. So the starting point for this exhibition was a book by the French philosopher Michel Carrouges, who in 1954, published The Bachelor Machine[s], this book in which for the first time, he envisioned some connections between The Large Glass by Marcel Duchamp and some literary machines that are described in some novels by, for example, Franz Kafka, Raymond Roussel, and Alfred Jarry. And so the “bachelor machine” becomes, in Szeemann’s vision, a sort of mechanical metaphor that runs through a lot of the literary and artistic production in Europe roughly between 1875 and 1925. And it’s a metaphor that it has to do with the relationship between the sexes, between let’s say the male principle and the female principle, but also the relationship between man and a higher entity such as God, or man and society. The “bachelor machine” is usually formed by two parts. There’s a lower part, which is basically a human body; and there’s an upper part, which is a machine, which is inflicting on this body a sort of punishment in some way. CUNO: Were the works in it machine-like works? Did they look like machines? Did they move like machines? CUNO: Or was it all metaphor? RIGOLO: So the core of the exhibition was, of course, Dada and Surrealism. So there was a lot of painting pointing at, like, machine imaginary, such as paintings by [Francis] Picabia, Marcel Duchamp, Hans Bellmer. But then Szeemann went also a little bit into more contemporary practices and included also, for example, machines by Jean Tinguely again and Peter Kowalski. And another very interesting aspect of this exhibition is that Szeemann decided to commission actually some visual representations of the literary machines described by Kafka, Jarry, and others. And so he commissioned a French artist, Jacques Carelman, and other artisans and practitioners to build these big-scale models of this imaginary machines. And this will become, in the trilogy and also into, like, Szeemann[’s] later exhibitions of the nineties, a very important characteristic of Szeemann’s exhibitions, these large-scale models and maquettes. And for Szeemann, it was somehow a way to bring into the exhibition space, things that he couldn’t bring. Such as, for example, buildings, but also things that were destroyed, or things that never existed, like these literary machines. So the museum, in a way, the exhibition space, becomes a space where you can imagine and you can actually find the materialization of these things that actually don’t exist in reality. CUNO: Yeah. So as we mentioned, that it was expensive for him to do this, to get the loans and to build the exhibitions and so forth. And we talk of him more and more, are talking of him more and more, as an artist. Was he patronized by collectors? Were there any particular famous collectors who might’ve helped him in this regard by providing the sources of funding for exhibitions? Was he seen that way on the stage of contemporary art of the time? RIGOLO: Well, for The Bachelor Machine[s], he got a loan from a Swiss bank and from a German insurance company. But then at a certain point, the insurance company actually backed out because they sensed it was a sort of subversive project or which had some subversive connotations. I would say in terms of relationship with collectors, later, in the eighties and nineties, he would collaborate with some collectors. PHILLIPS: He was certainly fundraising for his projects. I mean, I think the museums that would take his projects—and of course, often the way of achieving the budget is getting enough venues to sign on that the costs are split out a little bit. But I think, you know, particularly since he had this close relationship with the Kunsthaus in Zurich, he would have to be involved with some of their own fundraising. And they were usually the ones that were sort of guaranteeing the project to begin with. CUNO: [over Phillips] Right. You mentioned, and Doris mentioned, as well, that he became the kind of principal guest curator at the Kunsthaus Zurich. And that was, of course, the great museum in Switzerland. Was that some symbol of acknowledging his presence as an ambassador of Swiss Modernism or contemporary art? CHON: I absolutely, I think so. I think this was something that he was able to negotiate for the first time in the Kunsthaus’ and probably most major museums’ history, was to negotiate this title as basically permanent freelancer. And it kind of sets a precedent for other curators who would follow him, like, for example, like Bice Curiger, who also would establish a similar kind of standing with the museum, where she was permanently employed, but had a kind of, you know, working-at-will, kind of free-to-go kind of basis. And so he now he had the institutional security of a major European museum and had all of his health benefits and all those things taken care of, while curating as freely as he wanted to. He had to meet a certain base minimum number of exhibitions per year and he could get funding for them, but he was also free to curate outside the institution as well. So he kind of had the best of both worlds. PHILLIPS: And it was particularly well suited, because the Kunsthaus, at that time, was one of the few museums in Europe that had an open floorplan. So you could build new walls for each exhibition. And I think that was very important for him, because as time went on, design became more and more central to his exhibitions, and the kind of theatrical unfolding of the exhibition was very important. So to have this space that didn’t just have set walls that are always the same way, so that every show is always gonna open with the same proportioned room, was very important to him. And he even did some installations where there were no walls, and just sort of sculpture [placed] freely in the space. So that architectural feature, I think, maybe kept him there for a long time, as well. CUNO: But I’m curious. What was he like as a person? RIGOLO: For this project, we’ve also been conducting oral history interviews. We have interviewed dozens of artists and family members and collaborators of him throughout the decades. Most of the people, when they try to recollect Szeemann and how he was as a person, they talk about a certain warmth. The fact that he was a very warm person and very close to people, and that he liked to talk and he liked to have endless dinners and be very social. PHILLIPS: He was not your standard person in the art world wandering around in a suit and tie. You know, once the sort of hippie era moved in, he grew shaggy hair and a big, bush beard, and he never looked back. And so he did have this sort of imposing presence. You know, he was known, first of all, for being everywhere. He tried to go to every event. He was traveling constantly. And so he was incredibly social. You know, he spoke many, many languages. He was fluent in English, German, French, and Italian, and so he moved very easily between many different parts of the world. He loved to be out at night. And the artists and others that we spoke about, they talked about the just endless, long, deep conversations that they would have with him over dinner or over a drink, and that that was maybe where his real personality came out, maybe more so than in a studio visit. People that we’ve interviewed talk about his incredible sense of humor. He loved puns. He had a very Swiss way of speaking, and so even the German speakers found his diction to be a little bit funny, just a little bit off. He would use sort of flowery words. He was always playing with words. He’s always playing with language quite a bit. And so I think he was an incredibly memorable character, which also made him mediagenic. It made the press love to cover him and really helped cultivate a very strong persona. CHON: In his writings, we see that he’s always inventing these neologisms. And they’re kind of these Szeemannisms. But I think the other thing I remember a lot from the oral history interviews I conducted was that one thing the artists said it again and again was that he was the curator who was always looking out for your needs. And he had a way of making each artist feel like they were the most special artist in the room, but in a way that also did not put them in tension with one another. And the artists I spoke with all said that’s really, really unique for a curator, is to not make us all feel like we’re competing with one another. That you felt like you were in good hands. He was gonna make sure that your work was presented in the best way possible. CUNO: You know, we’re talking about him as an artist, or having qualities that were artistic qualities. And Glenn, you brought into this room, the studio, a book, a book that is about three inches or near to four inches thick, hundreds of pages, which has a simple title of Szeemann on the cover. And you described it as a catalogue raisonné of his work, his work as a curator. 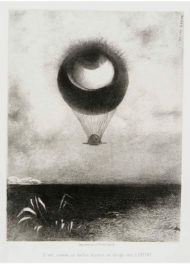 Do you know of another curator who has a catalogue raisonné of his work? PHILLIPS: I don’t know of any curator that has a catalogue raisonné. That’s very unique, in a way. CUNO: It documents all of his projects. Or most all of his projects, I suppose. PHILLIPS: It documents almost all of his projects. I think it was attempting to document all of his projects. I do think in looking through the archive, we have discovered a couple of little things that didn’t make it into this book, either consciously or through oversight. Particularly in the early years, sometimes he was accepting projects and doing them very quickly. It’s a listing of every show that he did, and then showing who the artists were that were in them, and the dates and the venues and just very crucial information. CUNO: So we were talking about this catalogue raisonné because we are the home of his archive, the archive of the exhibitions that he put together as a freelance curator and as a permanent freelance curator at the Kunsthaus Zurich. 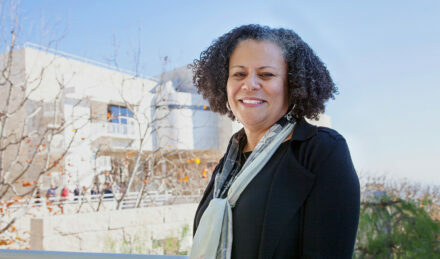 Tell us about how we at the Getty Research Institute acquired the archive. PHILLIPS: Living in Ticino, the Italian part of Switzerland, which is not a major urban center, and being an independent curator who was not every day going into an institution, Szeemann simply needed his research materials at hand. And I think his ambition led him to in effect, create his own research institute, which was the Fabbrica, or the Factory, the space where his office and library and materials were held. And the eventual home for those materials was, in fact, a former factory—it was a former watch factory. And Szeemann loved that, being Swiss, that he was in an old watch factory. And the series of rooms that he had arranged the archive were one of the most extraordinary things I had ever seen. It’s maybe a little more than 30,000 square feet altogether. And there were things everywhere. Everywhere you looked. Every surface. Books, papers, photographs, artworks, mementos, files, fliers, magazines, newspapers. CUNO: [over Phillips] Well organized? PHILLIPS: Well organized in a way, because there was a skeleton there, there was a structure there. Once you really got into it, you could figure out his system. But there was a chaos on top of it. To put that in perspective, when we were gathering the archive, I think that just loose papers stacked on top of tables equaled about 350 linear feet of material. Now, 350 linear feet would be considered a large archive for an artist’s entire career. And that was what Szeemann just had as sort of loose, unfiled things, because he really kept everything. And all of his research, when he was working on a new project, he just needed to own it. You know, he wasn’t inter-library loaning books and then sending them back; he was going to the booksellers and he was buying everything that he could. He sort of had to have it. CUNO: I was told once that since this was the age of the fax machine, that he wrote his correspondence and faxed it to the people he was writing to. So that we have in the archive, because he faxed everything, he didn’t lose the letters he wrote. So he had both his letters and the replies to his letters. PHILLIPS: He lived by fax. Once that technology came in, that was his medium of choice, even after email. At the end of his life, his assistant would fax him his emails. [Cuno laughs] You know, he was traveling everywhere. At the end of his life, he was traveling, you know, sometimes 300 trips a year, just at a pace that we can’t even think about. And then he would get his faxes for the day—might be two or three inches thick. I mean, it could be hundreds of pages. And he would read through them, and while he’s on the plane, he would read the email or the letter, you know, depending on what year we’re in, and then he would handwrite his response, and then he would fax that back to the Fabbrica, and then the assistant could type up the response or type up the email and send it. So we have both sides of his correspondence, in that case. CUNO: [over Phillips] Yeah. So let’s get back to how it was that the archive came to the Getty. Who contacted the Getty, and how did we secure the acquisition, and how did the archive get transported to the Getty? PHILLIPS: It’s a story that goes back many years. So I think we had made contact with Szeemann while he was still alive. My predecessor here at the Research Institute, Joanne Paradise, had visited, had spoken with him. So he knew about us. He knew about our archival collections, he knew that we may have an interest. But no decision had ever been made, and I don’t think he was really at a point where he felt he needed to make a decision, I guess, at that point. After he passed away, you know, his family knew that they could not maintain this massive amount of material. And there’s really strong demand from people wanting to access this archive. There’s so much unique and extraordinary material that only exists in this archive, so there’s a constant need of scholars wanting to get access. So the family, I think, knew that we had been in touch. There were, of course, other places they wanted to speak with as well. And the logistics of it all, you know, became one of the factors in determining how it could even happen, and I think in the decision that the Getty was really the place. CUNO: I remember hearing that the extent of the collection, the size of it, was measured in shipping containers, there was a number of shipping containers that brought the archive here. PHILLIPS: I think when we first were packing things up, it equaled about a linear kilometer of material. So if you laid it all out, it would be a kilometer. Now, it got smaller than that, because of course, things were packed up in bulky ways. And Szeemann often liked to keep his artist files in bubble wrap envelopes, which are very thick. So once we had cataloged it, then, you know, it shrank considerably, but—and that was for the archive, as well as the library. And it was important to him that those two things stay together. So we were going, staff from the Research Institute—including myself and our chief curator, Marcia Reed; our director, Thomas Gaehtgens; our deputy director, Andrew Perchuk; our head of cataloging, Andra Darlington; our registrar and other staff members—we were all having to make visits just to even figure out how on earth could we transport this. How can we organize it? How can we make sure that it arrives in a way that we can start with the first box we need to start with, right? You can’t just open at random and hope that it’s, you know, a good place. And so it’s not just packing it up; it’s packing it up in a way that you know how you’re going to unpack it. And in this space of absolute overflowing fullness in every single inch, and under every single surface, and on top of it and inside, and in hidden places you didn’t know about, it takes a lot of planning. CUNO: Yeah. So it gets done. And then it has to be cataloged, because the whole reason one acquires something is to make it available to the public. So we’re cataloging. Pietro, you’re quite involved in cataloging it. What was that process like? PHILLIPS: So when the Szeemann archive arrived at the Getty, at that time, it was the largest archive that had ever been acquired by the institution. So this and the fact that we were constantly receiving requests for access by students and researchers posed specific challenges and questions that we had to address. And we basically did it by basically rethink[ing] and reformulat[ing] the way archivists work at the GRI. Because the traditional way we work is that when we receive an archive, an archivist gets assigned to that archive and works on it from start to finish. In this case, because of the dimension of it and because of the requests we were receiving, it was not possible to just employ an archivist for a lifetime, for twenty years or thirty years, to work on it. So we basically decided to build a team of five people. There was a chief archivist, there was myself. I did my PhD on Szeemann when I was in Italy, so I came as the subject expert. And so I was more here to address questions and deal with the unfiled material and try to understand how to structure it. And then we had, also, two interns and one library assistant. So it was a team of five people, and this required, of course, a lot of coordination and a lot of talking and a lot of meetings and a lot of shared Excel spreadsheets. And another thing we did differently for the first time was, I think, also the fact that we decided to open the archive series by series. So we didn’t wait for the archive to be fully processed in order to open it. 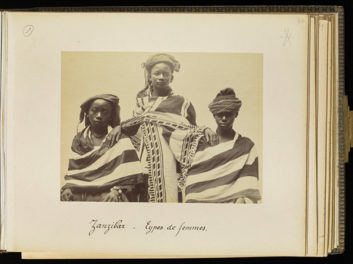 But by the time we finished processing a specific series, so for example, the photographic material or the artist files or the project files—we decided to open it to the public, to the research community. RIGOLO: Well, by now, only a small part of the archive has been digitized. But we did digitize all the photographic material, which is comprised of about 40,000 items, being them prints, negatives, slides, transparencies. And then we digitized, also, a small but very important part of the project files, which is called the general correspondence. Well, it used to be binders of correspondence of, like, from the early years of Szeemann[’s] career. So roughly from the early sixties to documenta 5 times. CUNO: Yeah. So there’re two aspects to this that I wanna get to. And one of them is a digital seminar that is being taught on the materials. And it’s a collaborative seminar that’s been embraced by three different universities—UCLA, University of Chicago, and the Academy of Visual Arts in Leipzig. And Doris, you taught the UCLA part of this. And when I said collaborative, it means that there’s interrelationship among the three. It’s not like these three different seminars are being taught just simultaneously someplace in different parts of the world; that you engaged each other in this process. CHON: Yes and no. There are three autonomous courses, so that each professor kind of designed their our course and their course plan. But there were lots of moments of kind of exchange and shared digitized materials, and kind of a shared Slack channel where students are able to exchange ideas about their ongoing research. So the way that it worked was that I, at UCLA, taught a graduate seminar in the art history department. And my course was able to take advantage of the fact that the students—we have the privilege of accessing the physical files at the Getty as well as the portion of the archive that has been digitized. So my students were able to use both sets of materials to put together their own independent research projects. And then Professor Christine Mehring, at the University of Chicago, taught a course. It was a slightly larger-format workshop that she had designed for undergrads and graduates, as a combined-levels course. And it was really designed as a workshop for students to get familiar with using an archive and what kinds of research and strategies would you employ to look at an archive like the Szeemann archive, one that’s very unique in its scale and its breadth. And then at the Academy of Visual Arts in Leipzig, in Germany, Professor Beatrice von Bismarck is teaching a graduate level curatorial seminar. And her class is focused more specifically on the curatorial research files that actually, the curatorial team digitized, that are specifically focused on The Bachelor Machines exhibition from 1975. So one of the kind of early trilogy exhibitions following documenta that reference Modernism and this kind of machine aesthetic in modern art and literature. And they’re actually looking at Szeemann’s research project files on Bachelor Machines to create their own exhibition in response. So that we’ll still wait and kind of results of that. But there have been many moments throughout the course of the fall term where students were able to communicate with one another about their independent research projects using the Szeemann archival materials. CUNO: Yeah, great. You mention exhibition. Of course, that’s the other part of this, which is that you’ve been gathered and working hard toward this great culminating public goal of presenting an exhibition on a man whose life was spent doing exhibitions. So tell us about the exhibition. PHILLIPS: Museum of Obsessions is the Harald Szeemann retrospective exhibition that will be opening at the Getty Research Institute in early February, before traveling to several additional venues in Europe. And the exhibition, it’s been an interesting assignment, in a way, because there aren’t a lot of models for how you do an exhibition about a curator. And so we’ve had to really sort of think from the ground up about how we would approach that. And I think our ultimate approach is to focus as much on the ideas behind Szeemann’s practice as the exhibitions themselves. So we’re looking at some of the most important and major exhibitions that he did, but we’re also trying to draw out, okay, but what was driving him to do those? What were the things going on? And so it’s divided into a few sections. There is Avant-gardes, there is Utopias and Visionaries, there is Geographies, and then there’s a satellite presentation called Grandfathers [read: Grandfather: A Pioneer Like Us]. Avant-gardes is looking at his early years at the Kunsthalle Bern, leading up until documenta and that incredibly vital moment of the sixties and early seventies avant-garde that he was really at the center of. Utopias and Visionaries is looking at his great trilogy of Modernist exhibitions, which really tried to rewrite the narrative of late nineteenth century and early twentieth century Modernism as this re-radicalized narrative that is not only the standard art historical story we may have been taught, but is also looking to this alternative history of these great self-taught figures or mystics or psychics or just very fringe moments that became very inspirational to him in artists like Emma Kunz or Adolf Wolfli or Elisar von Kupffer or some really fabulous artists that might be new to a lot of people, that have little sections in the exhibition; as well as some of his motivating ideas like pataphysics and Alfred Jarry, as we spoke about earlier. Or some of the political utopia ideas that had driven him. And then Geographies is looking at Szeemann’s own Swiss identity, as well as his turn to global contemporary curating in the last part of his life, where he’s doing these massive international biennials all around the world. And so that section is looking at his early geography notebooks and his passports and all of these things related to his travel, but also looking at these late exhibitions that he did in a series of what we call the national exhibitions, looking at the history of small countries like Austria or Belgium or Switzerland itself. PHILLIPS: And then as the final part of the presentation, there’s actually an opportunity to see an actual Szeemann exhibition in the flesh. And that is because we are reconstructing a 1974 exhibition that Szeemann made called Grandfather: A Pioneer Like Us. And it was an exhibition about his grandfather, the hairdresser, where he took all of the grandfather’s possessions and assembled them into this sort of incredible surrealist museum, almost like an art installation. He did it in his apartment. In this small, little apartment space, he put together almost 1,200 objects in this incredible array. And we’ve been working to reconstruct that space, and we’re actually building the apartment out at the Institute of Contemporary Art in Los Angeles, and it’s opening simultaneous with the exhibition at the Research Institute. CUNO: And this enterprise of his work and his life and our work and our lives, to bring his work and life to the public, the scholarly public, as well as the exhibition-going public, is being celebrated by this exhibition that’s opening. And it’s been the work of, well, many people for more than a decade now, in pursuit of it. If you had one last thing you could say to the podcast listener about the importance of this archive, what would that be? Let’s begin with Pietro, then to Doris, and to Glenn. Pietro? RIGOLO: Well, it’s a fundamental tool, in order to study the development of contemporary art in Europe from the 1960s to the early 2000s. But it also has a lot of treasures. Not only about the history of contemporary art, but also about the history of modern art and nineteenth century art and the beginning of the twentieth century, through the areas of interest that Szeemann was collecting materials about. Such as, as we talked before, pataphysics and Alfred Jarry and the history of Monte Verità and life reform movements. So it’s a very important tool for the study of art history, not only the contemporary art, but also other aspects of our discipline. CHON: I think that it’s certainly an extraordinary kind of inventory that reveals the depth and breadth of a really unique kind of curatorial and art historical figure of the last century. But I think the archive’s also fascinating as kind of an entity that embodies Szeemann’s own fantasy of his role as a kind of a cultural figure and of his interests. And I think that it represents not only this fantasy of self-sustained and limitless research pool, let’s say, but also this kind of fantasy of his own legacy living on. And I think there’s a sense of both a resistance to the institution in terms of declaring his own independence, but I think there’s also an investment in something like the GRI acquiring that archive and making sure that it’s gonna to be used for decades to come. There’s kind of a beautiful circularity in that. I think Szeemann always kind of touted his independent status and his autonomy from the institution, and yet in some ways, he really thoughtfully prepared his legacy to be housed someplace like this. PHILLIPS: I don’t know if I’ve ever seen an archival collection that so closely encapsulates the person that made it. And there is this kind of incredible self-portrait aspect to the Szeemann archive. And certainly, to some degree, I think he was absolutely crafting it that way, and using the archive as a way to create his own image of a self or his own sort of public persona. And so it has been shaped in a certain way that’s important. But beyond that, the completeness of it and the degree to which it captures, you know, so much of his interests. It makes a very special research tool, and there aren’t that many collections out there that are comparable. CUNO: Yeah. Well, we can’t wait to see the exhibition, we can’t wait to see the publications, and to have so much available to everyone online. So we thank you for all the work that you’ve undertaken in presenting and preserving and interpreting this great archive, and for taking part in this podcast. So thanks so much. The exhibition Harald Szeemann: Museum of Obsessions is on view at the Getty Research Institute through May 6, 2018. The satellite exhibition Grandfather: A Pioneer Like Us is on view at the Institute of Contemporary Art, Los Angeles, through April 22, 2018.